Are you sure Redken Mens Spa is closed down? 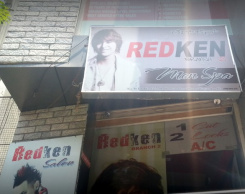 Redken Mens Spa is listed in revaalo under Beauty & Spas from Bangalore. Reviews, Ratings, contact details, services: . Very good services. Great value for money. Redken gives a good service. The owner is good. also, staffs are friendly. Have been going here for few years now. total value for money.